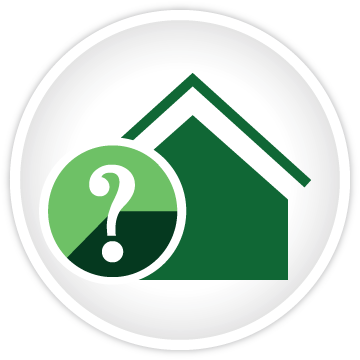 Learn more about the different types of homeowners insurance policies and their coverages! No one ever plans on the worst possible scenario, and most of the time it doesn't happen. But if it does, a good, solid homeowners insurance policy can be your best friend. Homeowners insurance policy is one of those things that you buy and you hope you never have to use. It covers you in the event that your home, or its contents, are damaged or destroyed. It also protects you in the event that someone gets hurt while visiting your property. Most of the time, if you have a mortgage, your lender will require you to have home insurance. Repairs or Rebuilding: This includes damage to plumbing, heating, air conditioning, and electrical wiring, assuming that the cause of the damage is included as a risk in your homeowners insurance policy. Ideally, you should make sure that you have enough home insurance coverage to rebuild if it should be necessary. Other Structures Coverage: This pays for damage to other structures on your property, like barns, sheds, garages, cottages, and fences. Personal Property Coverage: This type of homeowners insurance coverage reimburses you for personal items that might have been damaged or destroyed under a covered cause. It replaces your clothes, furniture, electronics, sporting goods, etc. Loss of Use Coverage: This pays for additional housing (a hotel or apartment, for example) if you have to temporarily move out of your home while it's being repaired. Liability Insurance: This protects you against lawsuits if you or a member of your family should be held responsible for the injury of another person while they're on your property. Additional Coverage: There are so many additional types of homeowners insurance coverage available that we really can't go into them in detail here. These types of homeowners insurance coverage are best discussed with your home insurance agent. Homeowners' insurance policies can always be customized to meet your individual needs, and it's important that you feel confident in the choices that you've made. 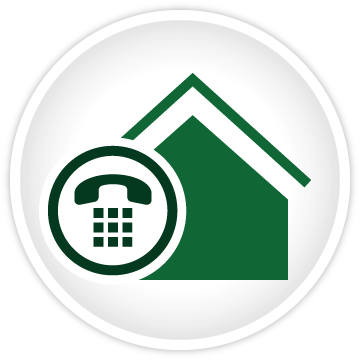 To learn about optional home insurance coverage, get in touch with your agent. And keep in mind that it's always wise to consider every eventuality. You may never have to make a claim, but it's important to make sure that if you ever do have to, you have the best possible home insurance coverage in place. What is Covered in Homeowners Insurance Policies? What Homeowners Insurance Does Not Cover? More surprises. You can buy additional home insurance that will cover you against some, but not all, of these problems. You're probably never going to be able to get home insurance coverage that will indemnify you against a nuclear accident. Even if you can get this type of homeowners insurance, you may not be able to get it if your home is particularly vulnerable. For instance, if you live in area that's prone to wildfires, you might find it hard to get home insurance if your home is made of wood. Your homeowners insurance policy doesn't just cover your dwelling. If you have outbuildings like barns or garages, they'll usually be covered to about 10% of your policy amount. If you have extremely expensive items, like antiques or very valuable jewelry, you may need additional coverage, but generally speaking, most homeowners' insurance policies will cover reasonable replacement costs. If your home is so damaged that you're no longer able to live in it, most homeowners' insurance policies will allow you to live in a hotel, and they'll cover the cost of your room and your meals. There may be limits on how long you can stay and how much you're able to spend, but generally speaking, you'll be covered. If someone has an accident in your home, you're covered for their medical bills. If your dog bites someone, all you have to do is call your insurance agent. And then punish your dog. If you have an older, or "heritage" home, you can buy additional home insurance coverage in case of damage that will allow you to restore the home to its original state. This type of homeowners insurance policy actually puts you in a better position than you were before - most types of homeowners insurance are designed to get a roof over your head, not to restore antique and heritage features. You can even buy an umbrella policy that will cover you for losses and damage not outlined in this brief statement. Contact your home insurance agent for more details.